Bringing automotive manufacturing back to the United States appears to be a movement that is picking up steam, especially with the current White House administration championing the effort. However, this movement does bring up a good question: which automotive brands already have the highest percentage of assembly in the United States? 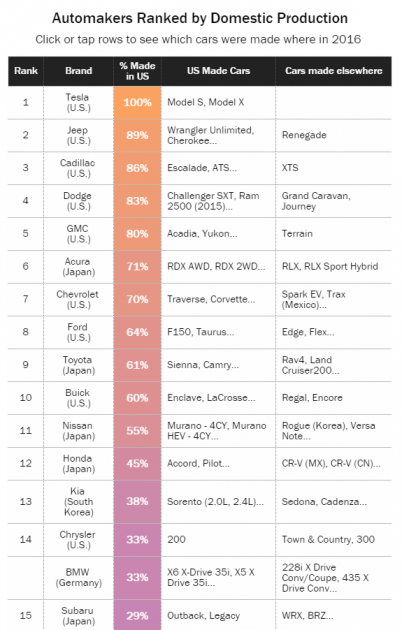 As it turns out, Tesla is currently the top automotive brand in terms of domestic assembly, followed closely by Jeep. According to a study conducted using the American University’s 2016 Auto Index, 100% of Tesla vehicles were assembled in the United States. 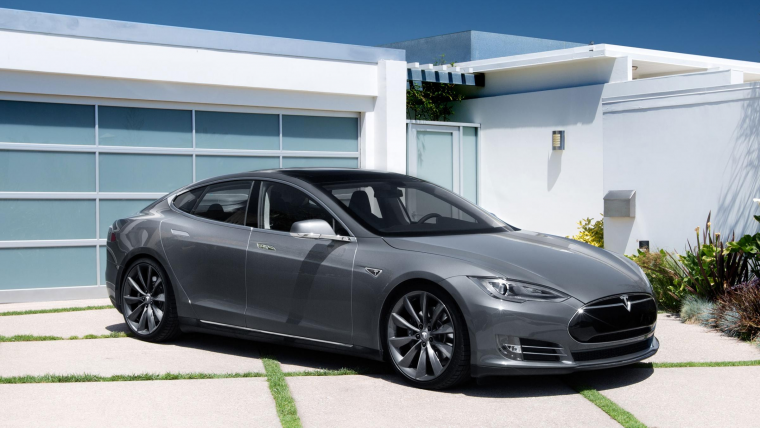 Both the Tesla Model S and the Model X were built exclusively in the USA. Following closely behind in second place was Jeep, with 89% domestic assembly. Only the Jeep Renegade was assembled outside of the United States, as it is currently manufactured in Italy instead. 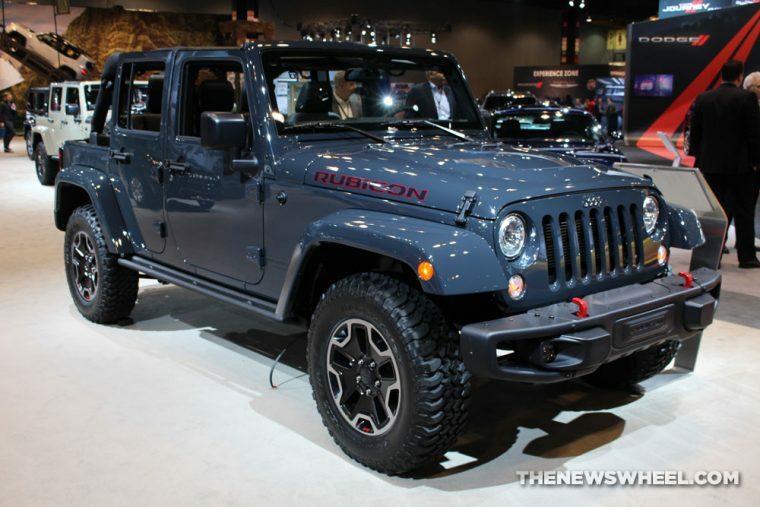 Jeep had held the top spot in terms of domestic production until 2014. That is when Italian production of the Renegade began, allowing for Tesla to seize the first-place rank. Fellow FCA brand Dodge came in fourth place in the study, with 83% of its vehicle assembly occurring in the United States. At 86% American production, Cadillac was ranked third. Not all of the top-ranked automotive groups in terms of American manufacturing were necessarily American. Acura, which is based in Japan, assembled 71% of its vehicles in the United States, placing it higher in the survey than American automakers Ford and Chevrolet. Among some of the vehicle brands that assembled 0% of their fleet in the United States were Mitsubishi, Audi, and Mazda. In all, of the 17.5 million vehicles sold in the United States during 2015, 65% were assembled there. According to Kristin Dziczek, who works for the Center for Automotive Research, U.S. automotive factories are operating at 95% capacity. If more cars are to be assembled in America, then automotive companies will have to quickly invest in more manufacturing factories very soon.